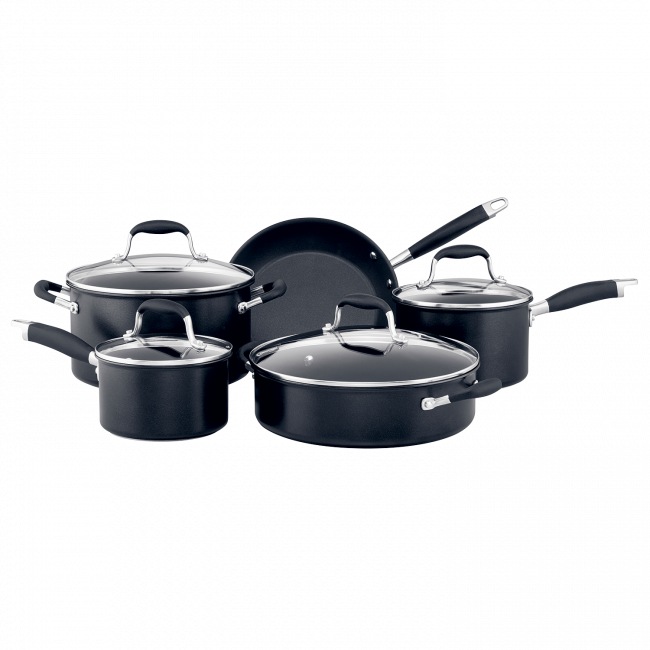 The Anolon Advanced+ 5 piece set is a sophisticated and professional option for the discerning home chef looking for superior quality and performance, backed by a lifetime warranty. This outstanding set gives you five exceptional pieces of cookware to create a well equipped kitchen, ready for you to fry, sizzle, poach, boil and steam gastronomic creations for family and friends. 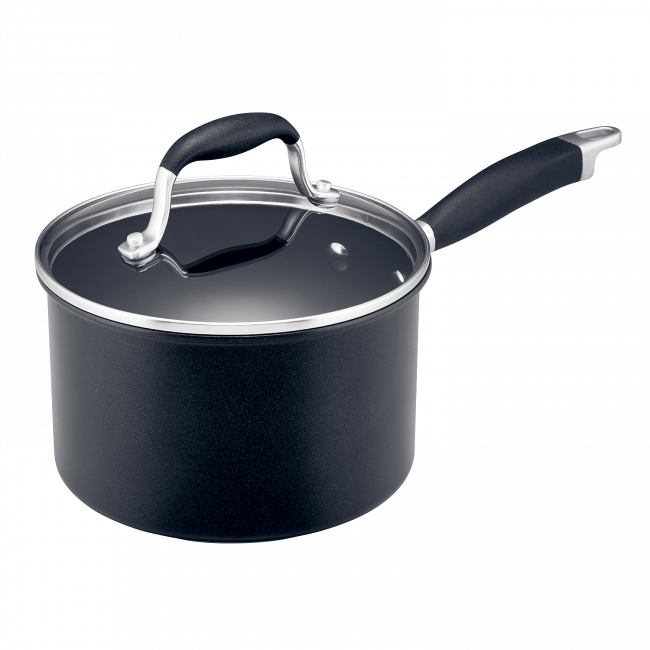 Anolon Advanced+ 5 Piece Cookware Set is rated 5.0 out of 5 by 7. 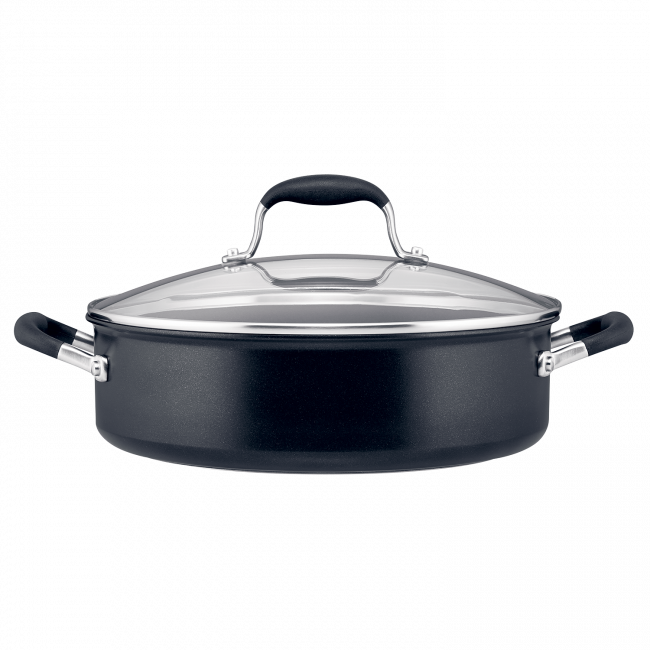 Rated 5 out of 5 by MLC70 from Love the quality I’ve bought Anolon cookware a few times now and I really like the quality of the product. This set is a great starter set. Rated 5 out of 5 by Cathie27 from Easy to cook, don't need oil and easy to clean The non-stick pots and pans are make cooking easy and so much healither - don't need oil or butter. Every thing cooks quickly and evenly. Very easy to clean, just one wipe. 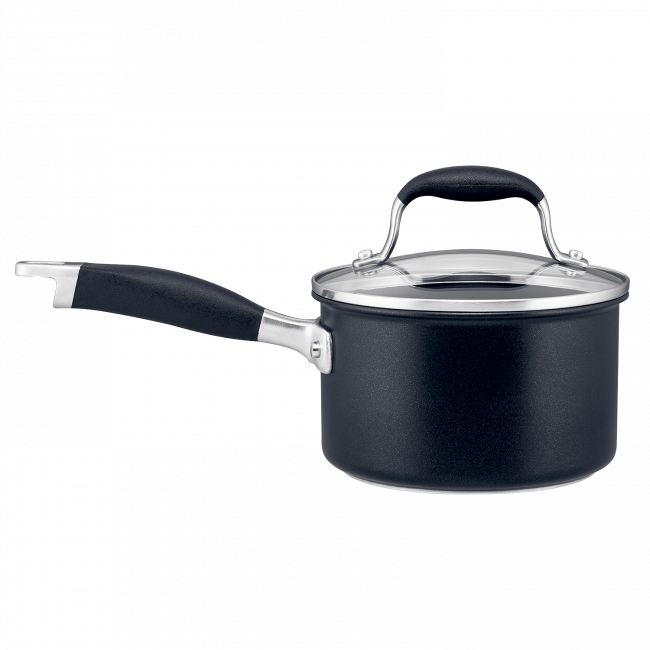 Rated 5 out of 5 by Kamla from Best Features you can look for in non-stick range So happy, the pot looks classy, performance is amazingly efficient, cooking time reduced as well to my surprise. Highly recommend. 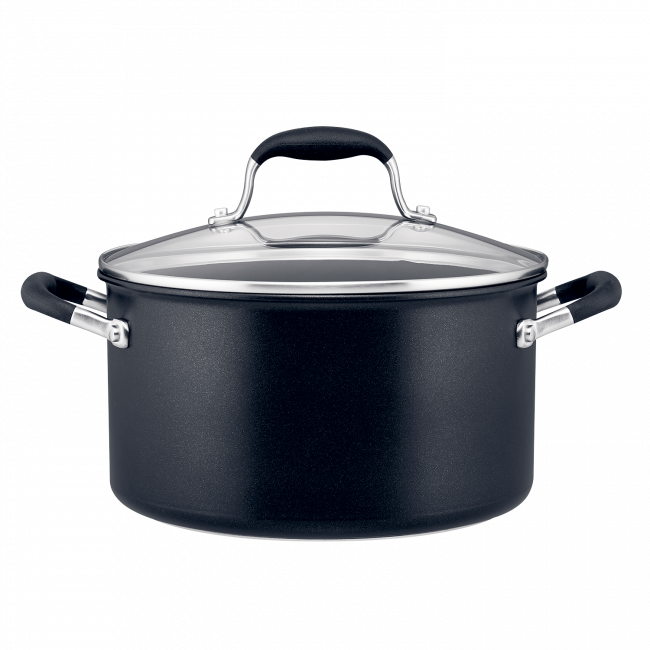 Rated 5 out of 5 by JCambo from Love my Analon Cookware set. I have been using my Analon cookware set for about 3 weeks and it's fantastic. Cooks beautifully and so easy to clean. Highly recommended! Rated 5 out of 5 by lochy from best of the best Anolon to date have produced 7 lines of cooking ware. Anolon have been able deliver 3 lines of products - authority, professional+ and now advanced+ that can be used not only be used on the traditional electric and gas stove tops but also the contemporary induction stove tops and too in the oven with the added bonus being dishwasher safe. 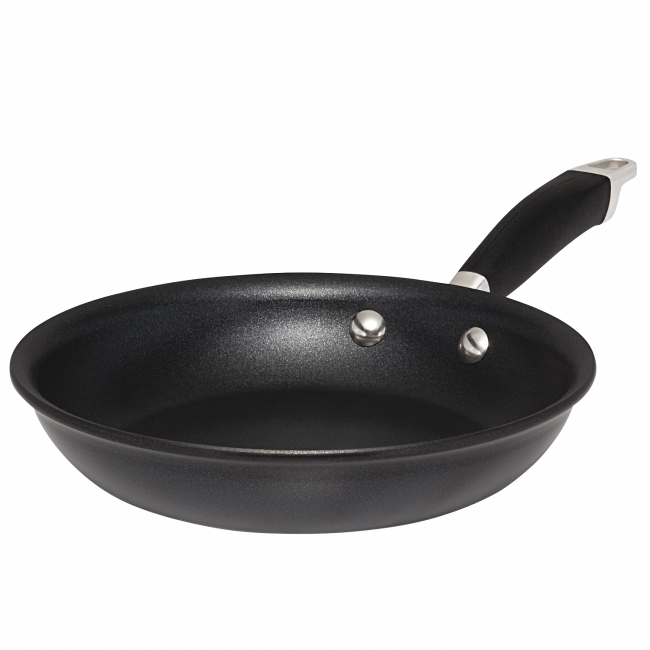 The only poor quality range was anolon endurance+ as the non stick surface chipped and marked easily and did not last the distance as the name may imply. However anolon have redeemed themselves with the latest line advanced+ by streamlining the composition of their product that is durable, lighter weight than its predecessor advanced and still featuring the ergonomic suregrip that won't disappoint consumers. Like all non stick products all suppliers recommends to use some oil when cooking.